Ring is size 9-1/2, it measures approximately 1/2" long and 7/8" wide. There is nothing at all average about this fantastic ring! 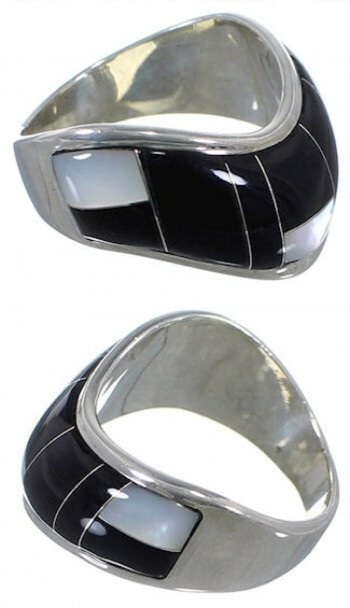 The ring is handmade out of genuine sterling silver, along with real Mother of Pearl and Black Jade inlay. The inlay is carefully set, while thin silver lines can be seen highlighting and adding style for a fantastic finish. The ring is stamped sterling and hallmarked.